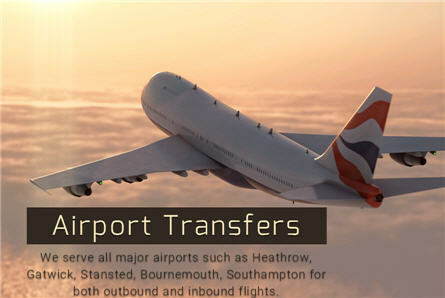 As Winchester’s largest taxi company we specialise in airport transfers. We provide fixed prices starting from £21.00 to Southampton airport and fixed price taxi services to Heathrow airport, Gatwick airport, Luton, Stansted, Birmingham and Bournemouth airport. We provide saloon cars to multi seater taxis, please contact our office for bookings. We also offer meet and greet service – our drivers will hold a sign board with passengers name and wait in the arrivals.